Two Cape Breton women who each say their elderly parent died after suffering neglect at a nursing home hope a new group will help prevent similar tragedies. 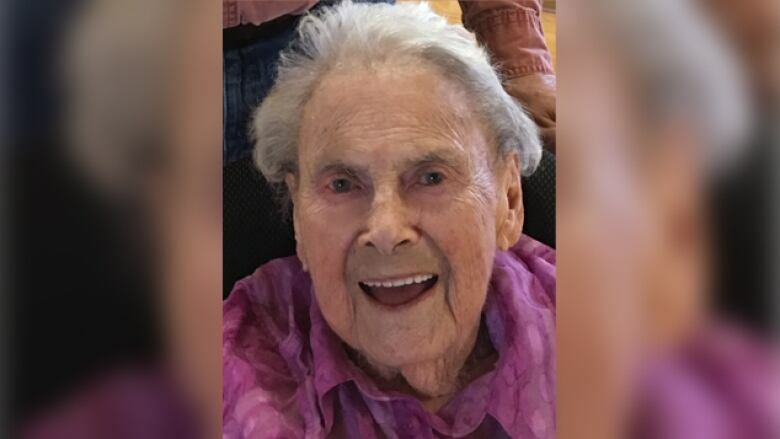 Lois Foster's mother, Kathleen MacDougall, died last week, nearly two months after she was found in her room at Harbourstone Enhanced Care in Sydney, N.S., with bruises on her arms and legs and the skin partially torn off her left arm. "I believe she died from succumbing to her wounds," said Foster. Norma Silverstein's father, John Ferguson, died from septic shock in January after he developed severe bedsores while living at Harbourstone. "I feel very disappointed," said Silverstein. "I was heartbroken when I found that my father had to go to the hospital because of neglect. It was awful." Both women have filed complaints under the province's Protection for Persons in Care Act. But after the death of her father, Silverstein said she needed to do something more. She and her husband have formed an advocacy group called Families for Quality Eldercare to help support families and try to improve the health-care system. Silverstein said part of the improvement that's needed is a shift in attitude toward elder care. "It is challenging, it's hard work, but the attitudes of people have to be to respect any life that they are in charge of helping, and sometimes that isn't done." Silverstein, of Hillside, N.S., is still waiting for answers about the death of her father, who lived at Harbourstone last year for six months. She said last fall, she saw her father hunched over asleep in his wheelchair after lunch several times. She asked to have him moved to his bed for an afternoon nap, which he had been accustomed to having before living in the home. "I was told that was too much trouble to put him in bed and then get him up again for dinner," Silverstein said. Several weeks later, he developed the bedsores that landed him in the hospital in October. "They [the elderly] are at the complete mercy of whoever is looking after them," she said. 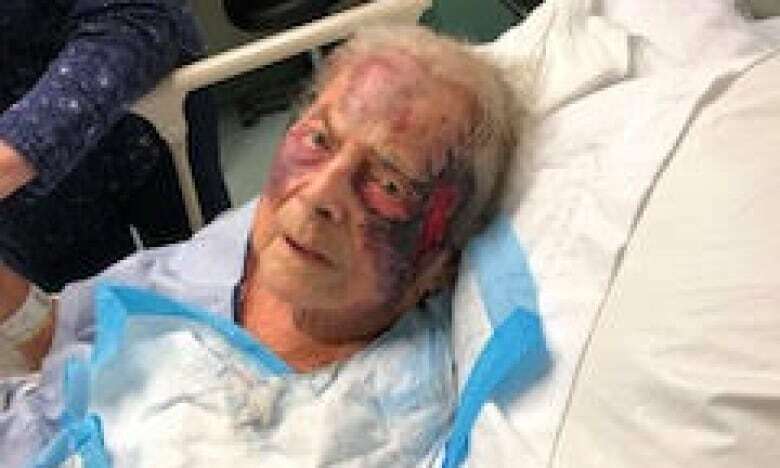 Silverstein has received and responded to a preliminary report about her complaint filed under the Protection for Persons in Care Act, but is still waiting for the final findings. Foster said she feels her mother's case needs further investigation. "I still feel that the home should be accountable for the care provided in the residence and I don't believe my mother received that care," said Foster, a registered nurse herself for more than 30 years. Harbourstone is one of 34 seniors facilities owned by Shannex in Nova Scotia, New Brunswick and Ontario. In an email, a spokesperson for Shannex said the company can't speak about the specifics of the case, but said "we are continuing to co-operate fully with the Department of Health and Wellness and will comply with any directives issued once their process is complete." A spokesperson for the Department of Health and Wellness said the department can't speak about specific cases being investigated under the Protection for Persons in Care Act. "The safety of residents in our long-term care facilities has always been and continues to be a priority. Nova Scotians deserve the highest quality care we can provide," the spokesperson said. Dr. Jeanne Ferguson (no relation to Silverstein's father) is a geriatric psychiatrist and a member of the advocacy group started by the Silversteins. She said it is true elderly people in nursing homes are at the mercy of those working, but that the people working in the homes are at the mercy of a system that is broken. "We have some really good staff in our nursing homes who are working very hard to care for patients, but there are not enough of them generally," said Ferguson. "And we haven't prepared for the acuity of the patients that we have." Ferguson said provincial funding for staff hasn't increased in 14 years. Dr. Jeanne Ferguson is a geriatric psychiatrist. She explained that people in long-term care in Nova Scotia pay for their room and board, but the provincial government pays for their nursing care. "The patients have become sicker in recent years and they require more staff and more resources and we haven't resourced them adequately," said Ferguson. But, she said, the system can be fixed. "There are models of care in other parts of Canada that are a little better than what we're using here, and some cases a lot better." Ferguson said an increase in funding, along with the increased involvement of family and volunteers, would make a huge difference. "We want to provide first of all good physical care for our elders, but also moments of joy throughout the day — happy, upbeat things so people continue to grow and be happy, even if they have advanced dementia or advanced physical illness." Foster is still trying to figure out exactly what happened to her mother. "It's hard to lose a mother and I never expected to lose her in that manner," she said. In addition to her complaint under the act, Foster has also filed a complaint with the Cape Breton Regional Police. The police confirmed they have been investigating the care MacDougall received. "A person is a person and you always have the number of days that you're allotted, and I think hers were brought short," said Foster. Silverstein also struggles to accept her father's death. "If he had come to the hospital with a normal death, a stroke or a heart attack or even diabetic shock, you know, we could understand. We could say, 'Dad had a good life, let him go,'" said Silverstein. "But I don't think anybody should die of infected bedsores." Silverstein said she hopes the first meeting of the Families for Quality Eldercare group will be held next week.